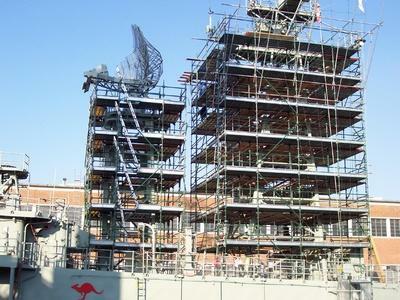 Scaffoldings are considered as something very important in building a house, hotels, tower, or other building. The scaffoldings meaning are actually temporary arrangement of frame that is structured around the work site with certain material. This thing is very important since it is purposed for worker convenience. Besides that, it also has some other function. Besides as the workers convenience, it is also important for supporting the workers and materials. It means that when creating a building, it is of course material is needed by all workers. If the position of the workers is quite far from the material, this thing will be useful as the way of taking building material. Then, it is also important for the safety of the worker itself. This thing will be the temporary place of the workers when the building is in high position. The design of the scaffoldings is commonly created based on the capability, height requirement, structure, and also the need. The foundation of this thing is always created as well in good foundation, even though it is scaffoldings for sale. Since, the structure and good level of this thing will affect much to the workers and even public safety. 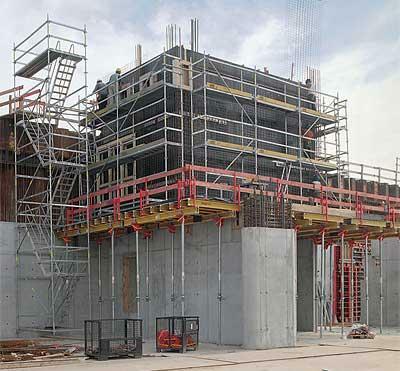 As it has been discussed before, that scaffoldings have much responsibility in the safety of workers, so it is designed well by using good material. In general, there are some kinds of materials that are commonly used to create this thing. Some of the materials are including aluminum and stainless steel. Both of them are created in various lengths. They are created in to ladders, lifting baskets, and anchor ties. Besides that, there is also treated wood that the thickness is designed as thick as the workers need until it can hold the supplies and workers. Besides aluminum and steel, some of the workers also use wood and bamboo as the material. But, it is only used if the building is not too high, such as building of house with only one floor. There are some types of this safety thing that are commonly used in building. Some of these types are including birdcage, single pole, suspended and cantilever. These all has certain differences that makes them is appropriate to be used in different kind of the building. They also need to fulfill some requirements to make it safe. 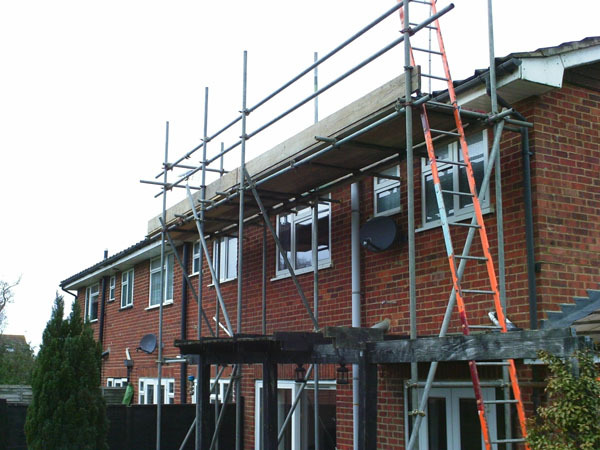 For example are birdcage scaffoldings that need to be tied, so the safety of stability and wind force resist can be guaranteed.